One of the reassuring qualities of contemporary cars is that they need much less-frequent service to keep them running well. Changing the spark plugs, breaker points, and condenser used to be a seasonal exercise, and body rust was accepted as a normal if unfortunate hazard of aging. Now many spark plugs can go 100,000 miles between changes. Electronic ignition has done away with the points and condenser. Chassis, suspensions, and even some transmissions are lubed for life. And factory rust-through warranties typically run six years or longer. What’s more, reliability has improved significantly. The result is that most late-model cars and trucks should be able to go 200,000 miles with regular upkeep. Here are a few simple, periodic checks and procedures you can do that will help you get there. Do it regularly—monthly for a vehicle in good condition; more often if you notice an oil leak or find you need to add oil routinely. The car should be parked on level ground so you can get an accurate dipstick reading. Don’t overfill. And if you do have a leak, find and fix it soon. Once a month and before any extended road trips, use an accurate tire-pressure gauge to check the inflation pressure in each tire, including the spare. Do this when the tires are cold (before the vehicle has been driven or after no more than a couple of miles of driving). Use the inflation pressure recommended by the vehicle’s manufacturer, not the maximum pressure embossed on the tire’s sidewall. The recommended pressure is usually found on a placard on a front doorjamb, in the glove compartment, or in the owner’s manual. Also be sure to inspect tires for abnormal or uneven wear, cuts, and any sidewall bulges you can see. Consumer Reports advises that digital tire-pressure gauges (which cost about $15 to $25) are probably the best bet overall because they will give an accurate reading or none at all. Many pencil-type gauges (typically $10 to $15) are good as well. Note that to check the pressure in a temporary spare tire, which is often 60 psi, you will need a gauge that goes higher than that—say from 0 up to 90 pounds. Try to wash the car every week, if you can. Wash the body and, if necessary, hose out the fender wells and undercarriage to remove dirt and road salt. It’s time to wax the finish when water beads become larger than a quarter. For normal driving, many automakers recommend changing the engine oil and filter every 7,500 miles or six months, whichever comes first. This is sufficient for the majority of motorists. For "severe" driving—with frequent, very cold starts and short trips, dusty conditions, or trailer towing—the change interval should be shortened to every 3,000 miles or three months. (Check your owner’s manual for the specific intervals recommended for your vehicle.) Special engines such as diesels and turbocharged engines may need more-frequent oil changes. Remove the air-filter element and hold it up to a strong light. If you don’t see light, replace it. Regardless, follow the recommended service intervals. On front-wheel-drive and some four-wheel-drive vehicles, examine these bellowslike rubber boots, also known as CV boots, on the drive axles. Immediately replace any that are cut, cracked, or leaking. If dirt contaminates the CV joint it can quickly lead to an expensive fix. If you’re willing to make under-car inspections, check for rusted-through exhaust parts that need replacing. Also tighten loose clamps. Do this while the car is up on ramps. If a shop changes your oil, have them make these checks. Listen for changes in the exhaust sound while driving. It’s usually advisable to replace the entire exhaust system all at once rather than to repair sections at different times. For most people it makes sense to have a shop check and service the brakes. If you handle your own brake work, remove all wheels and examine the brake system. Replace excessively worn pads or linings, and have badly scored rotors or drums machined or replaced. The brakes should be checked at least twice per year; more often if you drive a lot of miles. On many newer cars, the automatic transmission is sealed. On cars where it is not sealed, check the transmission dipstick with the engine warmed up and running (see the owner’s manual for details). Also check the power-steering-pump dipstick (it’s usually attached to the fluid-reservoir cap) and the level in the brake-fluid reservoir. If the brake-fluid level is low, top it up and have the system checked for leaks. Prevent overheating by removing debris with a soft brush and washing the outside of the radiator with a detergent solution. Inspect the battery’s terminals and cables to make sure they are securely attached, with no corrosion. If the battery has removable caps, check its fluid level every few months—especially in warmer climates. Considering the hassle of collecting and safely disposing of old antifreeze, you may want to leave this to a shop. Many models require that you replace the fluid and filter every 36,000 miles—sooner if the normally pink fluid takes on a brownish tint. With some cars the fluid and, if applicable, the filter can go 100,000 miles or more. With other late models, the transmission fluid never needs to be changed. Check your owner’s manual for this information. Do this every two to three years, even if they don’t show any wear. If a belt becomes noisy, have it adjusted. If your vehicle has a belt instead of a chain, stick to the manufacturer’s recommended replacement interval—usually every 60,000 to 80,000 miles. Check the owner’s manual or consult a dealer. Failure to change the timing belt can result in a very expensive engine repair if the belt should break. Why did we make these changes??? Because we wanted to make it easier for you to purchase a vehicle and to do so with complete confidence!!! If you’re in the market for a loan, your credit score is one of the biggest factors that lenders consider, but it’s just the start. Lenders like to see an applicant’s full financial profile when deciding whether to approve a loan, and at what interest rate. So when you fill out a loan application, be prepared to share everything. A credit score is a three-digit number calculated from information in your credit reports that is designed to predict how likely you are to repay borrowed money. But a score doesn’t tell lenders everything, and many look at the reports themselves. A blemish might not be a deal-breaker, but it can affect your interest rate. While one or more blemishes might not be deal-breakers, having them on your credit report can affect your interest rate. If you’re not sure what your credit profile looks like. To qualify for a loan, your debt-to-income ratio cannot exceed a lender’s maximum. A lender is less likely to view you as a risk if you have a higher income, because you’re more likely to be able to pay all your obligations every month. On the flip side, a high income may not help you get a better rate if your fixed expenses, such as your rent or mortgage payment, are especially high. For example, when applying for a mortgage, your total debt-to-income ratio must be 43% or lower to qualify for a loan with a reputable lender. The lower your loan amount, the less risk to the bank. Therefore, if you have a large down payment, the lender is more likely to be generous with the interest rate. If your credit score is borderline and you don’t qualify for a loan, a sizable down payment might help you get approved. Keep in mind that a slightly lower interest rate may not be worth cleaning out your bank account. It’s important to keep enough cash in savings in case of an emergency. The length of the loan is important. In general, lenders assume that a shorter loan means the borrower’s ability to pay is less likely to change over the life of the loan. Keep this in mind when you are applying for a loan. If you can afford a loan with a shorter term, your monthly payment may be higher, but you’ll pay less in interest over the life of the loan, and you’ll be out of debt sooner. If you’re applying for a car or home loan, the lender will look closely at the value of the vehicle or house because it will act as collateral for the loan. For example, say you want a $15,000 car. Add in $5,000 in after-market warranty and maintenance contracts, gap insurance and sales tax, and you’re seeking a loan for $20,000. Your loan-to-value ratio is 133% ($20,000 / $15,000 = 1.33). In this case, if the vehicle is totaled or you default on the loan and the lender tries to resell the car, it most likely won’t recoup the full $20,000. Therefore, the lender will likely call for a higher interest rate to compensate for the risk. A loan with collateral, or a secured loan, typically comes with a lower interest rate than an unsecured loan because you’re pledging the collateral as repayment of the loan if you fail to make payments. We recommend caution when considering using your house or car as collateral when applying for a personal. If you don’t repay the loan, you can lose your asset. If you have liquid assets, a lender may view you as less risky and offer a lower rate. You’re expected to use your income to repay the loan, but some lenders may want to know whether you have assets that can be converted into cash quickly to make payments in case you lose your job or experience other financial setbacks. These assets can be in the form of a savings or money market account, stocks or government bonds. If you have liquid assets to cover the cost of the loan, the lender may view you as less risky and may offer you a lower rate. If you’re applying for a mortgage, your current income may be enough to qualify you for a good rate. But the lender may choose to review your income from the past 24 months to measure income stability. If you have a spotty job history or you were unemployed recently, you might not be denied, but the issuer may still view it as a red flag. As a result, you could end up with a higher interest rate. You can improve your chances of loan approval with favorable terms by developing good credit behaviors like paying your bills on time, every time and keeping your credit card balances low. 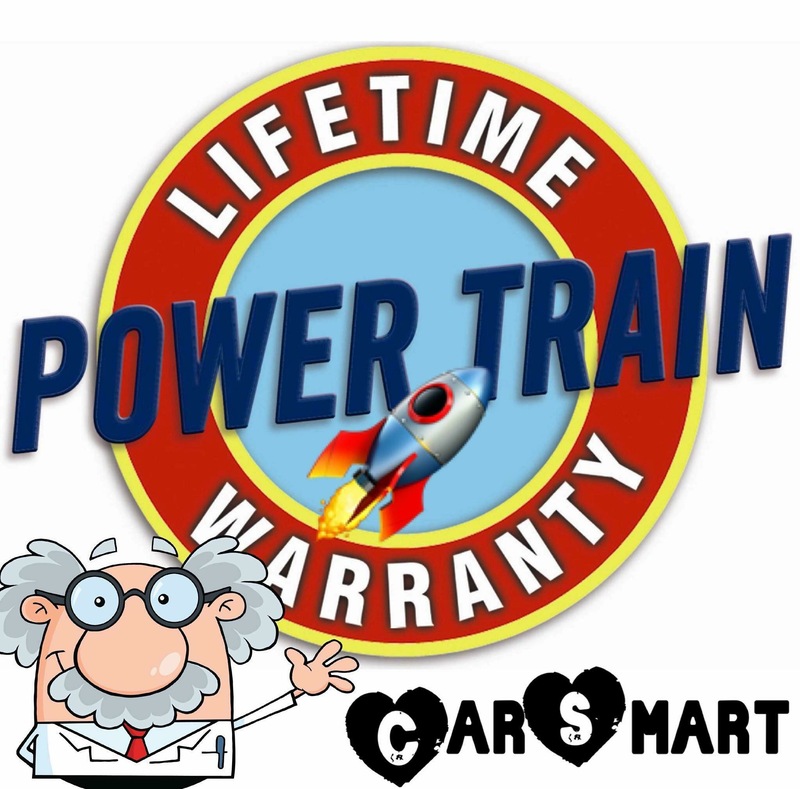 CarSMART offers “Lifetime Powertrain Coverage” on all of its Certified Pre-Owned Vehicles at No Cost To You!!! At CarSMART we whole-heartedly believe that you should be able to Browse and Buy a Pre-Owned vehicle with Complete Confidence. This great coverage gives you peace-of-mind for as long as you own your vehicle. No Limit on time, No limit on miles. You'll never have to worry about major engine, transmission or drivetrain repairs again with this exclusive coverage offered to you by CarSMART. This Powertrain Protection covers all internally lubricated parts no matter how long you keep the car! What Vehicles Qualify for Lifetime Powertrain? Our Certified Pre-Owned vehicles must pass a 100+ point inspection, be 10 years or newer with less than 100,000 miles(At point of sale), and have a clean title. We do our homework to make sure the car is as "like new" as possible. 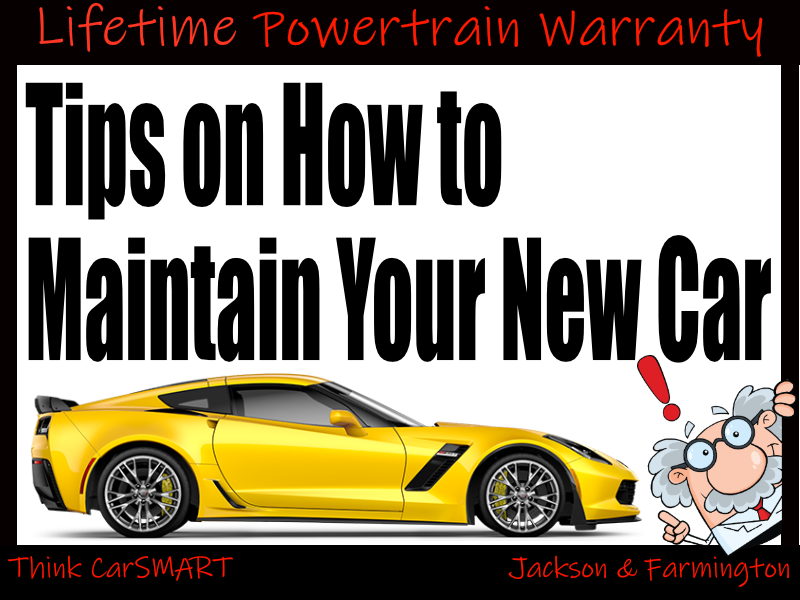 Once that inspection is passed, we can apply the Lifetime Powertrain coverage to the vehicle. What's Covered Under this Program? ENGINE: Gas/Diesel -All internally lubricated parts within the engine plus the cylinder head(s), engine block, engine mounts, flex plate, flywheel and ring gear, harmonic balancer, intake and exhaust manifolds. The oil pan and valve covers are only covered if damaged by an internally lubricated part. TURBO/SUPERCHARGER: Allinternallylubricatedparts. Housing is only covered if damaged by an internally lubricated part. AUTOMATIC TRANSMISSION: All internally lubricated parts, torque converter, transmission mounts, vacuum modulator, all gears, governor, oil pumps, clutch plates, shafts, internal valves, rings, servo units, :friction and steel drums, bearings and bushings, bands. Transmission case is covered if damage is due to the failure of an internally lubricated part. MANUAL TRANSMISSION: All internally lubricated parts, all gears, all bearings, main drive gear, internal shifting components, synchronizing drum, shafts and spacers, main shaft, bushings. Transmission case is covered if damage is due to the failure of an internally lubricated part. DRlVE AXLE ASSEMBLY (Front & Rear): All internally lubricated parts within the drive axle assembly. The drive axle housing is only covered if damaged by an internally lubricated part. TRANSFER UNIT: All internally lubricated parts within the transfer case. Transfer case is only covered if damaged by an internally lubricated part. What is the Deductible if I Need to Make a Claim? The Deductible on the coverage is $100 per claim. 100% of parts and labor is covered after the $100 deductible is met. Question #1: How long do you plan on keeping the car? The length of your car’s manufacturers warranty varies, but most new vehicles offer at least a three-year/36,000-mile bumper-to-bumper warranty. If you plan on keeping the car for three years or less, then paying for an extended warranty probably doesn’t make much sense. But according to a 2016 analysis from IHS Markit, the average car buyer holds on to their vehicle for six and a half years. If you’re likely to drive a car long after the manufacturer’s warranty ends, an extended warranty may be worth considering. Question #2: What type of car are you buying? In 2013, Consumer Reports surveyed more than 12,000 subscribers who purchased an extended warranty. They found the people most satisfied with their purchase were owners of car brands whose reliability consistently rank as average or below average, including BMW, Chrysler, Dodge and Mercedes-Benz. If you’re in the market for a Honda, Subaru, Toyota, or another brand that earn consistently high marks for reliability, you may be better off skipping the extended warranty and covering repairs yourself. Question #3: What is covered? Most extended warranties don’t cover regular maintenance or “wear and tear.” Some warranties cover parts but not labor. Others have high deductibles, which can seriously diminish the value of your coverage. In the Consumer Reports survey mentioned previously, among respondents who used their extended warranty, the median savings for repairs covered by extended warranties was just $837, while the average cost for coverage was $1,214, resulting in a net loss of $377. So even if you use the coverage, the savings may not come close to covering the cost. Question #4: Who backs the warranty? An extended warranty may be backed by the manufacturer, the dealer, or an independent company, so find out who will perform or pay for repairs. Lauderdale says warranties from the manufacturer may be a bit more expensive than those from a third party, but they may provide better coverage. “They usually cover a very wide range of repairs and allow you to go to any authorized dealership to handle repairs,” Lauderdale says. Also, know what happens if the company backing the warranty goes out of business. An administrator may handle a service contract sold by the dealership. If the administrator goes out of business, is the dealer is still responsible for performing repairs? If the dealership goes out of business, will the manufacturer honor the service contract? Question #5: Will you use it? It may seem inconceivable that someone would pay for an extended warranty and then neglect to use it, but that’s exactly what a majority of buyers do. In the Consumer Reports survey, 55 percent of car buyers who purchased an extended warranty didn’t use it. Some buyers find that using the extended warranty simply isn’t worth the hassle. Depending on the terms of your contract, you may have to schedule repairs with the original dealer or with an authorized repair center in the region. If you buy your car from a dealership in another town, the car breaks down on a road trip, or you move after you buy the car, bringing the car back for covered repairs may be inconvenient. Question #6: How will you pay for it? The cost of the service contract is typically based on the car’s make, model, coverage and length. Costs can range from one to several thousand dollars. Consumer Reports found that among people who purchased an extended warranty, 86 percent bought theirs at the time they bought the car. It’s easy to roll the cost of a service contract into your car loan, but that convenience could cost you. When the cost of the extended warranty is added to your financing, you’ll pay interest on the extended warranty for the life of your loan. Financing a $1,200 warranty over five years at an interest rate of 4.21 percent will cost you an additional $132.82. That may not seem like much when you’re financing thousands of dollars for a new car, but it’s another factor to consider when you’re deciding whether an extended warranty is worth the cost. Question #7: Is the price negotiable? After haggling over the cost of your new car, negotiating the cost of a service contract may be the last thing on your mind. But don’t be afraid to ask for a better deal. Few people realize that the cost of an extended warranty is negotiable, but according to Consumer Reports, those who do haggle save about $325 on average. Despite the cautions and statistics, some car buyers just like the peace of mind an extended warranty brings. Before you buy, make sure you read the fine print so you know what’s covered, what isn’t, and what hoops you’ll need to jump through to get your repairs covered. And finally, know yourself. If you’re not likely to follow the terms of the agreement, you may be better off setting up a savings account designated for car repairs. If you face major repairs, you’ll have the money available. 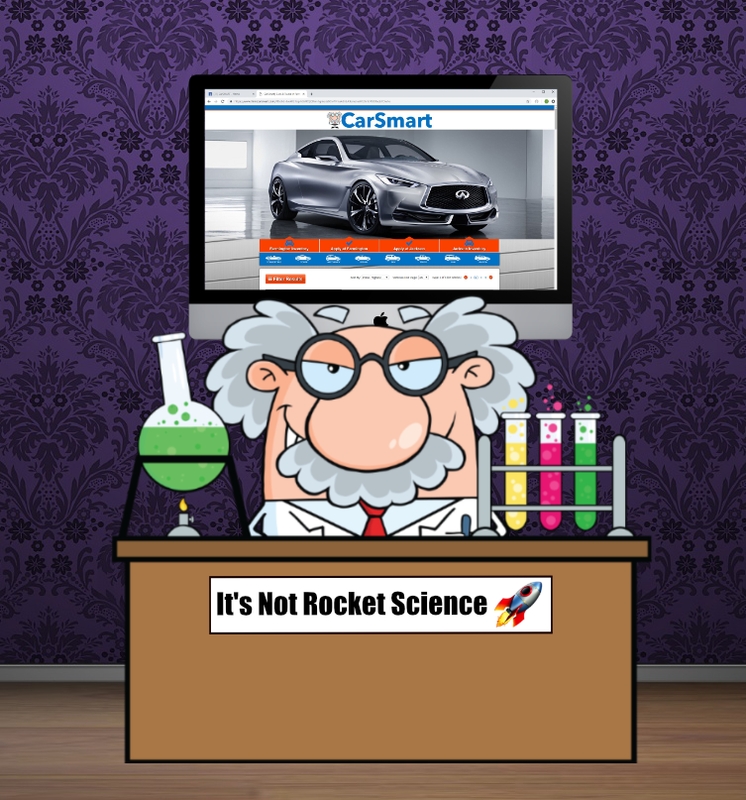 If your car is reliable, you can always use the money for a down payment on the next one.